Thanks to Creative Industries Fund NL we are able to invite talented developers to join the Holland Pavilion. We have 4 subsidised spots available for talented and motivated developers that are interested in showcasing their game at the Holland Pavilion at Gamescom. Normally, a spot costs €1.150 ex. VAT. With this opportunity, participation at the Holland Pavilion is free. Gamescom is the largest B2B and B2C conference in the world in terms of digital entertainment. 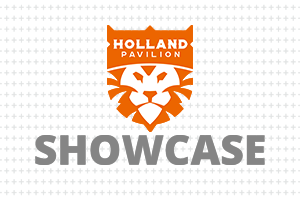 Complete the form to apply for a Holland Pavilion Showcase spot. Registration is open until July 1st, 2018. Dutch Games Association, Dutch Game Garden and Creative Industries Fund NL will select 4 developers to showcase at the Holland Pavilion at Gamescom.